Eventually, his perseverance paid off and we ended up with this cute little mini ‘Ciggy’, complete with fold down windscreen, bonnet mounted wheel (sadly not the delux bonnet though) and a tow hook on the back. Mud being Mud wasn’t satisfied with just the Landy and very soon we had a Sankey trailer to go with it, oh and the spare tyre had disappeared from the bonnet by this point. 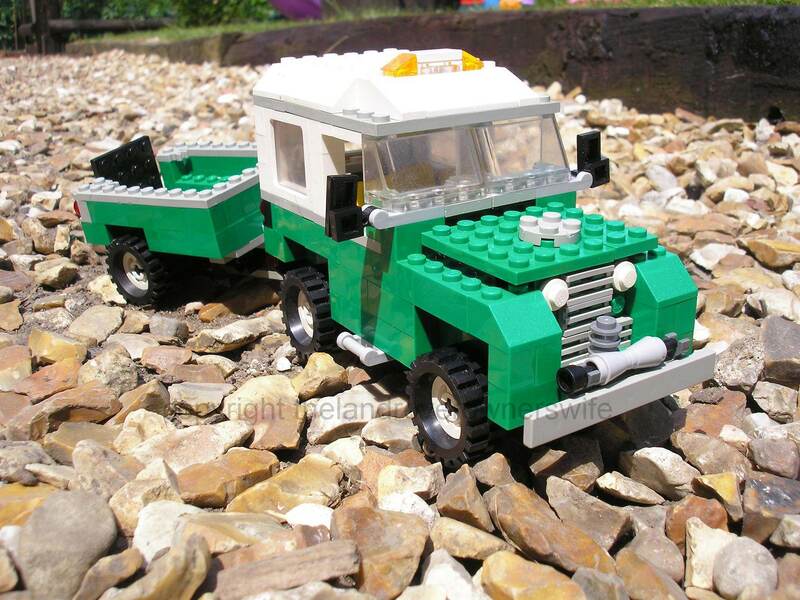 Now as all those of us who own one are aware, one of the key advantages to taking on an old Landy is its’ ability to morph into a completely different vehicle with minimum effort, in a matter of hours. 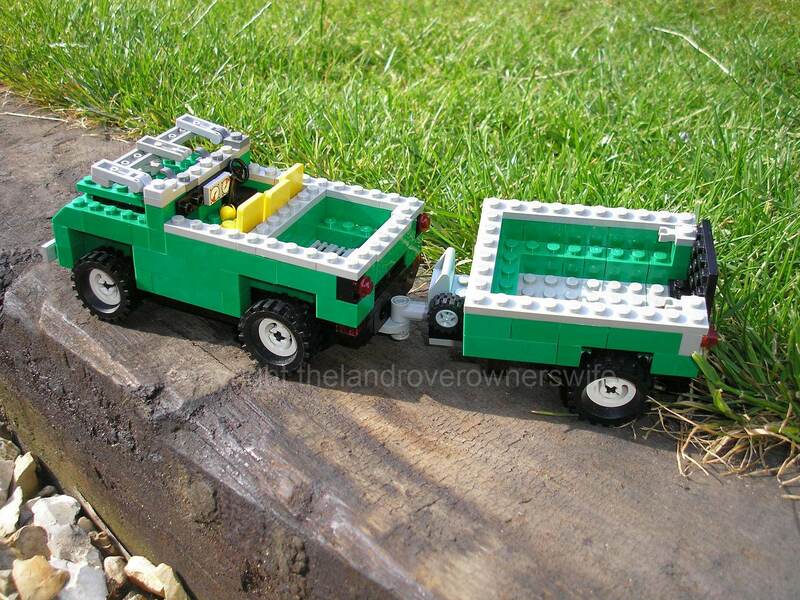 Annie, for example, drove down to Daventry last year wearing a Truck Cab and when Mud left there a mere 2 hours or so later, she was proudly sporting a hardtop, carrying the truck cab in her pick up bed – couldn’t do that with a modern, so called, ‘eco’ car. So in the true spirit of Land Rover ownership, Mud built a white hard top with windows for his mini Ciggy, removed the front indicators (who needs them anyway?) and fitted a winch. 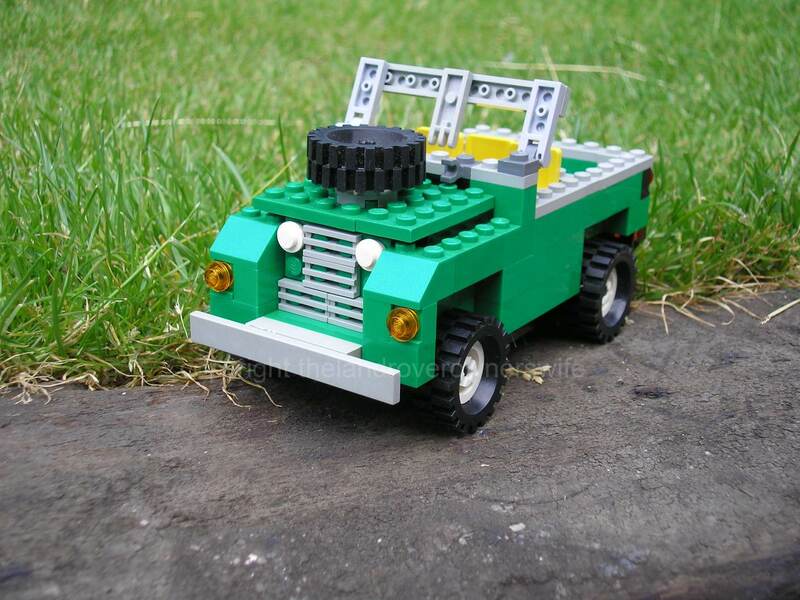 Finally we ended up with a Series 2 SWB in ‘Bronze’ Green (well it was the closest shade of Lego bricks we had to the colour – which isn’t that close at all, if I’m honest) with a white hard top and a thoroughly happy Mud. 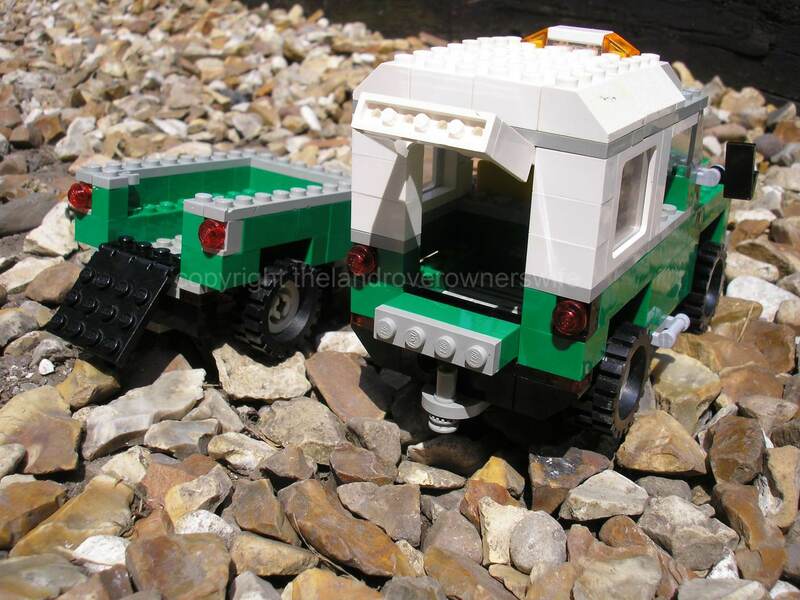 When I originally did this post in March of this year, I chose to write about the little green Lego Series 2 that Mud had built. 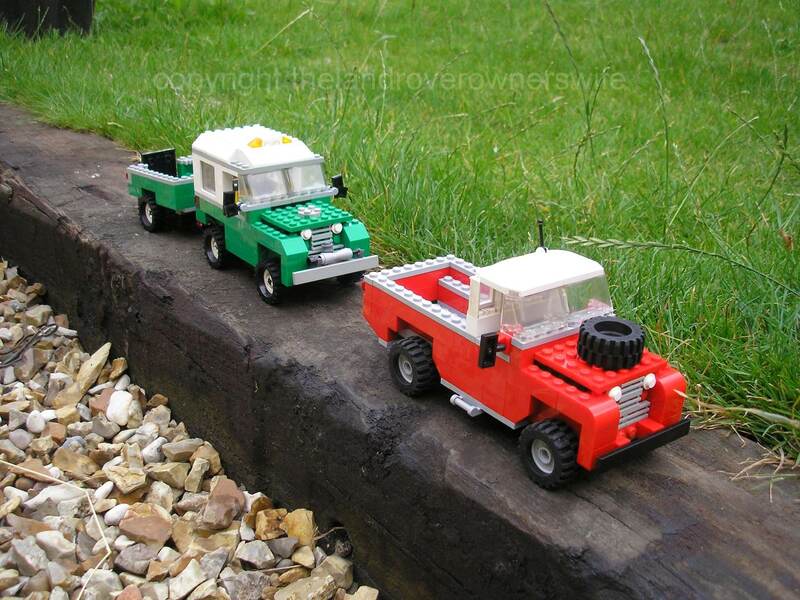 He had also built a red 109″ Series 2 (should have been built with blue bricks, if you ask me) but he wasn’t overly happy with the finished look and so I didn’t include it.